There are plenty of ways to get around NYC! Many InterExchange program participants will begin and end their trips in New York City. While you’re in the “Big Apple,” you may want to take some time to explore. Below are some of our tips and suggestions. The subway is one of the quickest and cheapest ways to get around New York City. 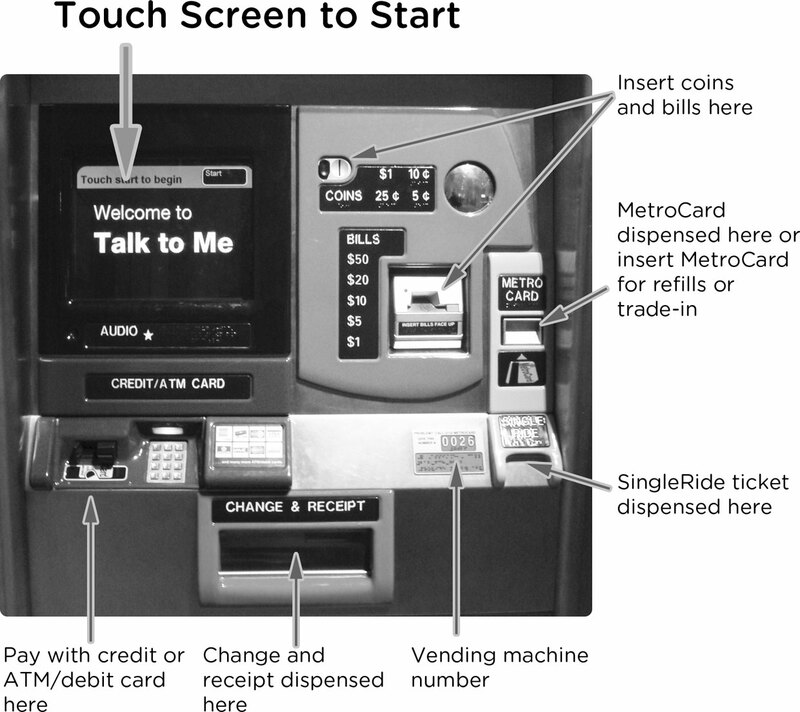 There are booths at every station where you can purchase MetroCards, or you can use a MetroCard vending machine. MetroCards can also be used on city buses. Free subway and bus maps can be obtained at any subway station, just ask for a map at the booth. If you would like to buy a detailed street map of the city, one can be purchased at most bookstores. The subway is generally safe, however you should use caution when traveling by yourself or at night. For more information, visit the MTA on the web at www.mta.info/metrocard. There are several types of MetroCards. For a few trips around the city, you can purchase a Pay-Per-Ride MetroCard. Each ride is $2.75 (subject to change) if you purchase two or more rides. If you put $5.50 or more on your card, you’ll receive a 11 percent bonus. For example, a $20 purchase gives you $22.50 on your card. Refill your card when the balance is running low. Pay-Per-Ride MetroCards are sold at vending machines only. The MTA also offers a 7-Day Unlimited Ride MetroCard which gives you unlimited rides on all subway lines and buses for $31 (subject to change). The 7-Day Unlimited Ride MetroCard is good for one person for unlimited subway and local bus rides until midnight, seven days from day of first use. Both MetroCards offer free transfers within two hours between the subway and the bus, or between buses. You can also buy a SingleRide MetroCard for $2.75, but you will not be able to use it to transfer to other subways or to the bus. It is only good for a single one-way trip. MetroCard vending machines can now be found at most subway stations. You can pay with Cash, ATM (bank card) or credit card. When a credit card is used, the machine will ask you to enter your zip code for verification. However, if your credit card account has a billing address outside of the United States, you are not subject to the zip code verification requirement. Instead, type in “99999” when prompted for a zip code. Touch the vending machine screen to start. Your card will come out from the slot labeled MetroCard. Subway track work is often done on weekends or late at night so be prepared to find alternative routes to your destination during these times. Check the MTA website at www.mta.info for detailed fare information and service updates. Never go onto the tracks. Rails carry over 600 volts of electricity. Have your belongings in sight at all times. New York City is full of money-saving possibilities, including free or discounted tickets to hundreds of concerts, plays and exhibitions throughout the five boroughs. Finding these bargains is a skill you can easily master. Be sure to keep your International Student Identity Card (ISIC) with you, as many places offer student discounts. 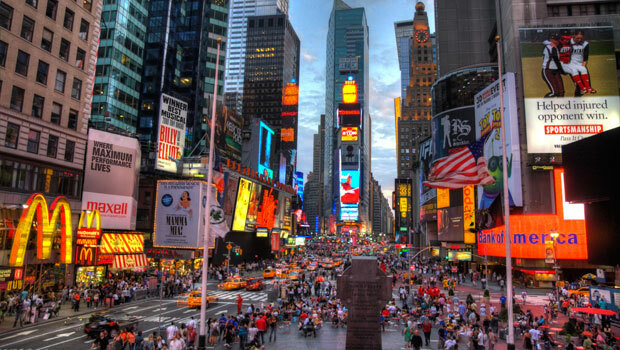 Time Out New York magazine also has lots of information about how to save money in New York! Big Apple Greeter: Visit NYC neighborhoods with a friendly volunteer who loves the Big Apple. Free community service offers a glimpse of a “New Yorker’s New York” on foot and by subway. 10-days advance notice requested. Find out who’s buried in Grant’s Tomb National Monument and see exhibitions focusing on the Civil War and the life of General Ulysses S. Grant. See the world’s largest Gothic Cathedral, St. John the Divine, near Columbia University and explore its Biblical Garden and Children’s Sculpture Garden. Enjoy the High Line with beautiful views of the city and urban garden spaces. Saturdays: 5:45 p.m. – 7:45 p.m.
Fridays 4:00 p.m.- 8:00 p.m. Explore thought-provoking exhibits at the breathtaking New York Public Library. Enjoy free concerts, outdoor movies and other special events at Bryant Park. The Staten Island Ferry provides spectacular views of the Statue of Liberty and Lower Manhattan for free! Take the 1 train to South Ferry. Take a self-guided tour of majestic Rockefeller Center (free, pick up maps in the main lobby). You can also enjoy the summer gardens or ice-skating in winter. Register online in advance to attend free tapings of popular TV shows. Travel down Mulberry Street and enjoy the outdoor Italian restaurants and cafes of New York’s very own Little Italy. Take the 4, 5, or 6 train to Canal Street and walk north to Mulberry Street. Take a walk in Chinatown, and explore the thriving district of exotic shops and restaurants along Canal and Mott Streets. Head uptown toward Union Square. You will find some interesting architecture including the famous triangular Flatiron Building at 23rd Street (between 5th Avenue and Broadway). You can also stop by Union Square Park to rest, watch the local skateboarders or shop at one of the city’s largest outdoor farmer’s markets. Enjoy a panoramic view of New York from the Observation Deck at the Empire State Building. Check website for ticket prices or stop by the InterExchange office during business hours to purchase your ticket at a special discount rate. For another breathtaking view of the city, head to the Top of the Rock in the Rockefeller Center. Check website for ticket prices. Watch millions of years of the earth’s existence unfold at the American Museum of Natural History, including the world’s most exciting, extensive dinosaur halls. The museum’s latest addition is the Rose Center for Earth and Space. This is a donation-based museum. Bask in the serenity of the medieval Cloisters (a branch of the Metropolitan Museum of Art) at Fort Tryon Park in upper Manhattan. Explore the mysteries of ancient Egypt at the Brooklyn Museum’s world-class collection of Egyptian art and artifacts. Free entrance and parties the first Saturday of every month. Donation-based on other days. American Museum of the Moving Image. Ongoing exhibits on art, history and technology of film, TV and digital media. Closed on Tuesdays. MOMA. Explore beautiful galleries full of modern art and sculpture. Check website for ticket prices. Free on Fridays from 4:00 p.m. - 8:00 p.m.
Roam endless galleries showcasing the world’s most extraordinary art at the Metropolitan Museum of Art. Pass can be applied to visit the Cloisters on the same day. This is a donation-based museum. Sun - Thurs: 9:30 a.m. - 5:30 p.m. Fri-Sat: 10:00 a.m.-9:00 p.m. Closed on Mondays. See history in the making on guided, multilingual tours of the United Nations. All tours start in the UN North Lawn Building located at 47th Street and 1st Avenue. Tickets for tours are only available online and must be purchased in advance in order to enter the premise. Mon-Fri: 9:30 a.m. - 4:15 p.m. Put on a special headset for the world’s most advanced 3-D movies, shown on a screen more than eight stories high at the Sony IMAX Theater. Take a ride on the world-famous Staten Island Ferry, and includes spectacular views of New York Harbor and lower Manhattan. The ferry is free. Catch the subway to the New York Transit Museum, set in a scenic 1930s station, where you can learn the history of the city’s famous public transportation system. Learn about America’s “melting pot” heritage at the Statue of Liberty/Ellis Island Immigration Museum. Chess players can visit Washington Square Park and sit with some of the greatest players in the world — for a small fee, of course. It’s not a bet, so if you win, don’t expect to get your money back (don’t pay more than $3. and don’t even think about gambling). Spend part of your day taking a boat tour of the Statue of Liberty, Ellis Island, the United Nations, the Brooklyn Bridge and more. Choose from 1-hour, 2-hour and 3-hour tours leaving from pier 16 at the South Street Seaport or pier 83 at 42nd Street. See the city like the locals do on two scenic city MTA bus rides: the M5 from Greenwich Village to Riverside Drive, passing Chelsea, Rockefeller Center, Lincoln Center and Central Park South; and the M4 from Madison Avenue through Harlem to the Cloisters. Enjoy some ice-skating at the Rockefeller Center Ice Rink, located between 47th and 50th Streets and 5th and 6th Avenues. Check website for admission and skate rental prices. Live Theater: Visit the TKTS booth in Times Square to get same-day tickets to Broadway or Off-Broadway musicals and plays for up to 50% off regular prices. You can also ask about standing-room-only tickets, which may be less expensive. Street Fairs: From May through October, experience this cultural phenomenon of NYC. Get designer clothes on the cheap, eat some delicious Mozzerepas, and get a massage all on the same block! Various locations. Weekends. Look in Time Out New York magazine for weekly listings. Rent a rowboat for a scenic paddle around the lake in Central Park in the shadow of Manhattan’s magnificent skyscrapers. You can also enjoy ice-skating during the winter! $22.95 adults, general admission is free all day on Wednesdays. You’ll need lots of energy for a night out in The Big Apple, so start out by eating in Chinatown, Little Italy, the Lower East Side, Times Square or any other area of town that suits your fancy! If you like rock music, head downtown to Alphabet City’s Mercury Lounge and catch some local bands or maybe world-famous rock musicians. For a more mellow start to your evening, you might want to play billiards at Slate Restaurant and Billiards — you may even bump into a celebrity or two. Relax with live jazz at the famous Blue Note in the Village. In Times Square, go to Iridium, an eclectic restaurant/bar with some inspiring live jazz performances. Show off your talent at salsa dancing (or just fake it) at S.O.B.’s (Sounds of Brazil). Enjoy a drink and some Kielbasa at the traditional Bohemian Beer Garden, one of many located throughout all five boroughs. Since 1910, the Bohemian Hall and Beer Garden has been a part of New York history. Be careful, the good spirits and friendly atmosphere make it hard to leave! Brooklyn has become known for its cutting edge music scene, and you can hear the latest local bands (and some famous international ones too) at The Knitting Factory, Pete’s Candy Store or the Brooklyn Bowl. More fun nightlife, restaurants and arts events can also be found on www.freewilliamsburg.com. If you still have the energy, Webster Hall is the place for you. You’re guaranteed a good time at this four-story disco theme park where you can dance to ’70s music, reggae, hip-hop, techno, rock or jazz. While in New York, you may want to e-mail your family and friends back home. Most public libraries offer free Internet access. Your hostel or hotel may also have wi-fi a computer with Internet access. There are also many Internet Cafés. While at your job site, there may also be public libraries and/or Internet cafés in your host community. Many public areas also offer free wi-fi: Starbucks cafes, coffee shops, shopping malls and plazas. You do not need to be a member of the library or have a membership card. Usually there is a sign-up sheet at a desk near the computers if you’d like to use them to access the Internet. Often the wait is about 30 minutes and you can use the computer for 30 minutes at a time. Check www.NYPL.org for your nearest location.